Six teen-aged campers and their two leaders awoke in the summer night to water rising around them. They had inadvertently set camp on a tidal flat, at low tide. They had gone to sleep in northern Ontario. Now they were, apparently, in James Bay, which is at the bottom of Hudson Bay, which is part of the Arctic Ocean. In the pitch dark, they scrambled to find their canoes, their food, each other. Most everything had floated away, but they found one canoe. They stood around it in the Arctic Ocean, now waist high. They didn’t know if it would get higher. They didn’t know which direction would lead them to land. 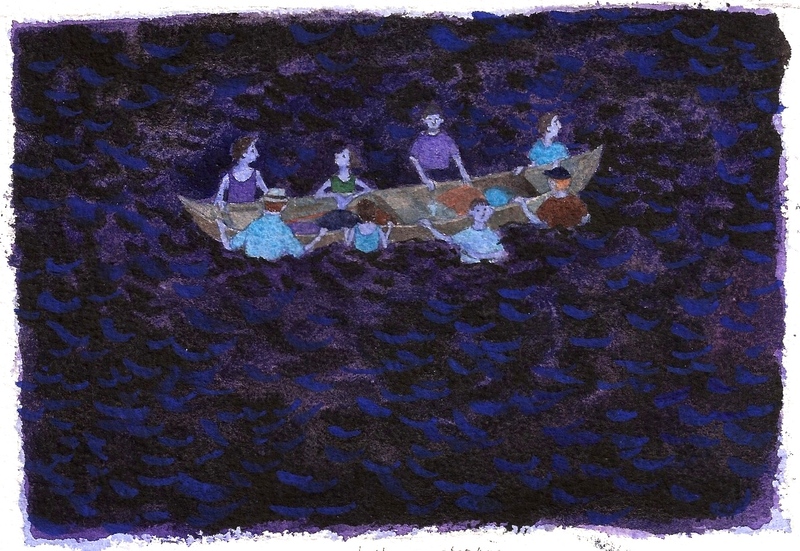 Too dark out.They stood around the canoe, holding on to it, waiting for light, waiting for the water to recede. Or get deeper. They were lucky: the water didn’t get deeper. They were lucky: they found all of the canoes the next day. And no one got hurt, or hypothermic. They didn’t find the wanigan that held their food, but they were at the end of their ten-day trip. So they were lucky about that, too. Michael told the story second-hand — he wasn’t on that trip. “But didn’t that same thing happen on a trip you were on?” I asked. “Yes,” he said. It occurred to me that some education in the matter of identifying tidal areas would not go amiss. 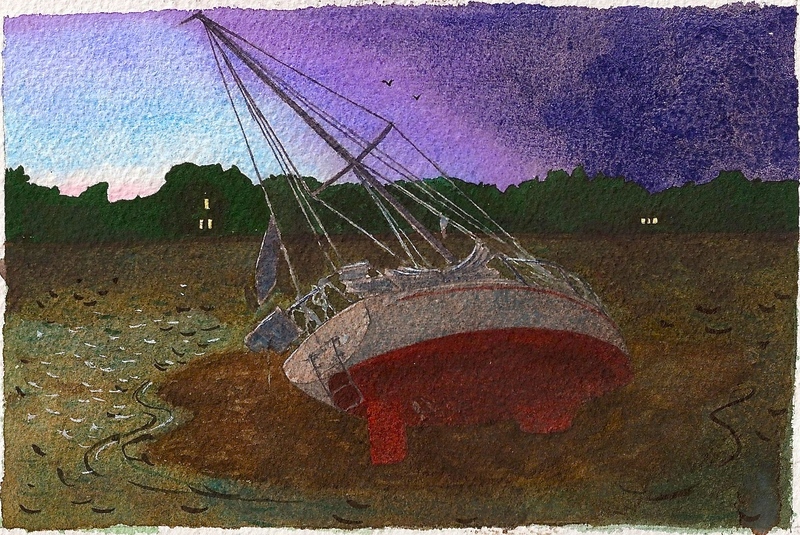 Tom, a sailor, had stories of dropping anchor and waking up, to the sound of pots and pans crashing down because the tide had receded and left the boat on a sand bar, tipped over. Lynne (not me, another one) had a friend who had driven out onto a sand bar off the coast of Maine. It was between the mainland and a nearby island. Lots of people drove to the island when the tide was low. Her friend, though, stopped on the sand bar. He had some things to think about. He fell asleep. When he awoke, he was surrounded by water. The car wouldn’t start. He made it back to land on foot, wading. 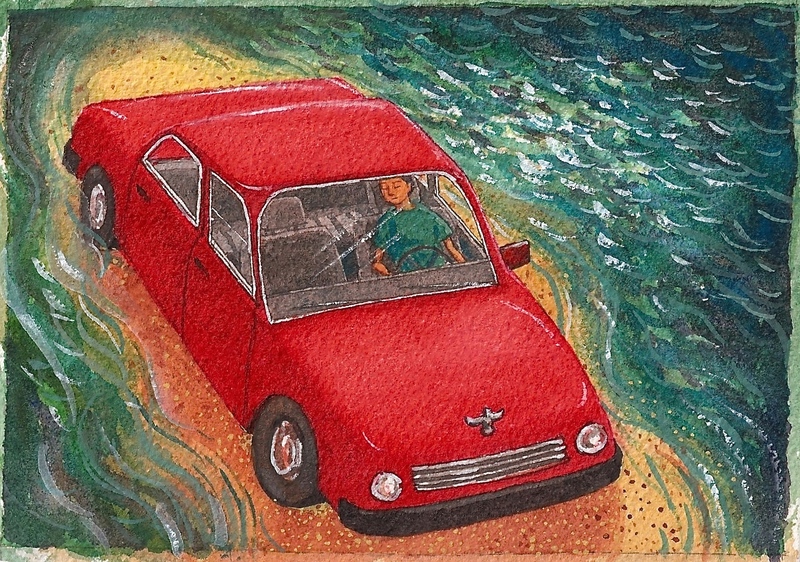 When the tide lowered again, he was able to start the car and drive it back. But it was never quite the same. “I don’t have any tide stories,” I said. Michael said it wasn’t too late. Anne didn’t tell any tide stories either, but I think she has some. She’s married to Tom. Bill hadn’t been able to make it to the dinner where this conversation took place. I told him about it, and how I didn’t have any tide stories. He thought about this for a minute. So I guess there are three kinds: high tide, low tide, and new-and-improved Tide. 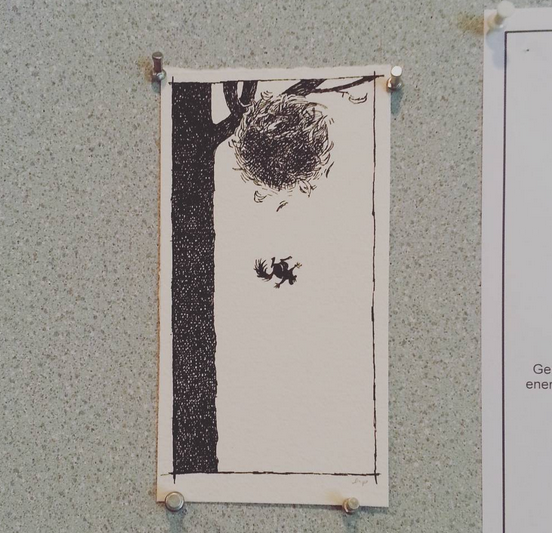 For more info on Art Drop Day, go here: http://mrjakeparker.com/art-drop-day .